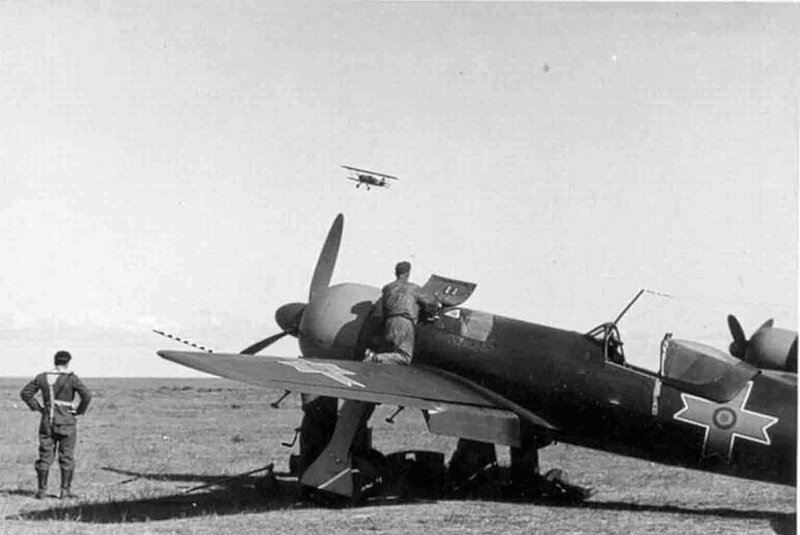 Romanian fighter IAR-81 at the field airfield. In the sky Arado-68E biplane. IAR-81 is a fighter developed by the Romanian firm IAR Brasov.